Everyone always says rumours should be taken with a “pinch of salt”. If that’s the case, I’d recommend setting aside an entire salt shaker for this one: Rockstar is about to announce a remake of Red Dead Redemption, bringing it to PC for the first time. Check out the best upcoming PC games here. That’s the chatter currently doing the rounds across the internet courtesy of Korean games site Gamefocus. 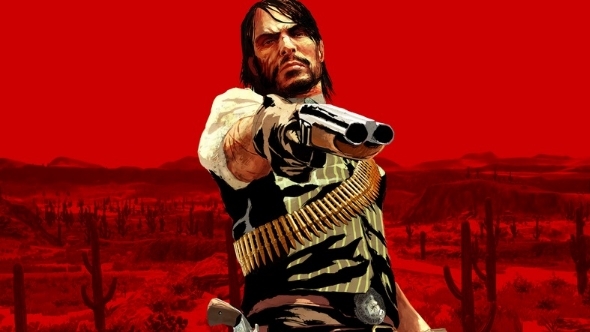 A translation of a storyon the site claims a remastered version of Red Dead Redemption – which originally hit Xbox 360 and PS3 (but not PC) back in 2010 – will be announced later this week for PC, Xbox One and PS4. There are two factors that make this seem a little unlikely, however. Firstly, it’s only a few months since Rockstar made the 360 version of Red Dead Redemption playable on Xbox One. That wouldn’t exactly be a smart business move if a planned re-release for new systems was in the works. Secondly, the Korean site suggests it’ll be unveiled at Sony’s PlayStation event this Wednesday – an event expected to lift the lid on Neo, the new powerful PS4 set to compete with Xbox One Scorpio next year. It seems unlikely Sony would look to show off more powerful hardware with a remake of a six year old game. Still, stranger things have happened, and a PC release would certainly be welcomed, even though Rockstar reportedly never planned to bring it to anything other than consoles back in 2010. Time can be a great healer.